For a discovery in a new land, aside from the traditional customs and culture, the local climate is one of the important factors in tourists’ decision of which time to plan the trip. For every tourist intend to explore Vietnam, especially those visit Vietnam for the first time, “How is the weather in Vietnam? When to visit Vietnam? Which is the best time to visit Vietnam?” are those privilege question marks concerned the most. Authentik Travel experts are pleased to share some experiences about the best time to visit Vietnam! 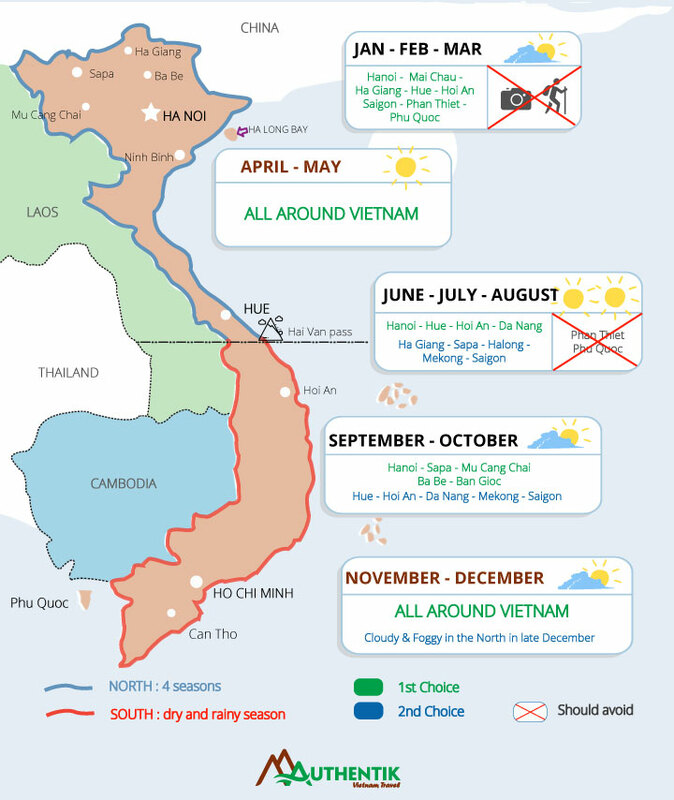 Which is the best time to visit Vietnam? Vietnam is naturally designated as the S-shaped with a North to South distance of 1,650 kilometres and a coastline of more than 3,000 km. Due to this geographical basis, the weather in Vietnam tends to vary considerably from place to place. As a whole, Vietnam has a high humidity and tropical climate with an average temperature ranging from 21°C to 27°C, gradually rising along the latitude (North –South). During the summer, the average temperature in the whole country is 25°C (23°C, 25°C, 26°C relatively in Hanoi, Hue and Ho Chi Minh City). In the winter, especially December & January, the Northern region has the lowest temperature. Some northern mountainous areas, such as Sapa, Hoang Lien Son, may have sleet or snow as the temperature sometimes falls down to 0°C. - The Northern Region (Hai Van Pass to the north): Because of the tropical monsoon with high humidity, there are four distinctive seasons (Spring-Summer-Autumn-Winter), leading to a marked change in the seasonal landscape. - The Southern Region (From Hai Van Pass to the south): Being less affected by the monsoon, this area has a tropical climate with a comfortable atmosphere all year round with two distinct seasons: dry and rainy season. However, the typical rainy season in Saigon and Mekong region is that rains do not last all day. They are pouring rains at the end of the day and quickly stop. Due to these significant differences, it is hard to state the best time to visit Vietnam as a whole. In other words, a specific season may good for visiting this region but maybe not for others and vice versa.To determine the most suitable time for your trip, please analyze with us the geographical feature of each region according to each season of the year. 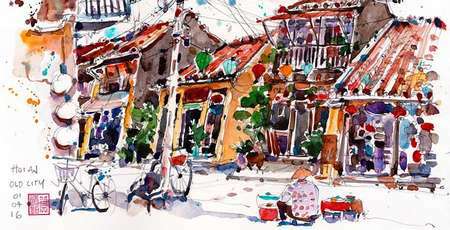 The first quarter is one the most beautiful period to organize a trip to Vietnam. In the North: This is the winter; the northern regions are cold and foggy. However, there is no possibility of heavy rain and storms. In the Center: In Hue, the drizzling rain falls usually, but this shall not affect tourists to visit the historical heritage of this former capital. 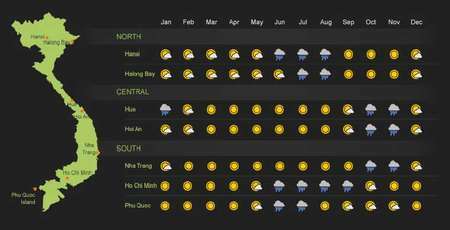 In the South (Especially Saigon & Me Kong Delta): Nice weather with sunshine enables customers to enjoy their vacation. Due to the weather in mountainous areas are foggy during this period, it is not ideal for long trekking trip and photo shooting. 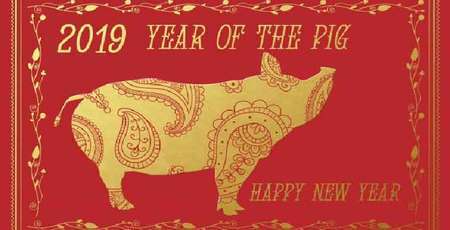 This a great occasion to explore the traditional customs of Lunar New Year and immerse into the atmosphere of more than 8,000 festivals throughout Vietnam. Especially, during this season, it is great to enjoy the beach break in some stunning beaches in the south of Vietnam such as Nha Trang, Mui Ne and Phu Quoc. To be honest, this is the most beautiful period for you to explore all over the country. In the North: The winter & drizzle completely end. Nowhere has the possibility of storms. However, from the middle of May, it is getting hot. The clear and dry sky is suitable for a long discovery in the mountainous areas. In the Central: Amazing time to explore and enjoy the sea vacation in Hoi An - Da Nang. 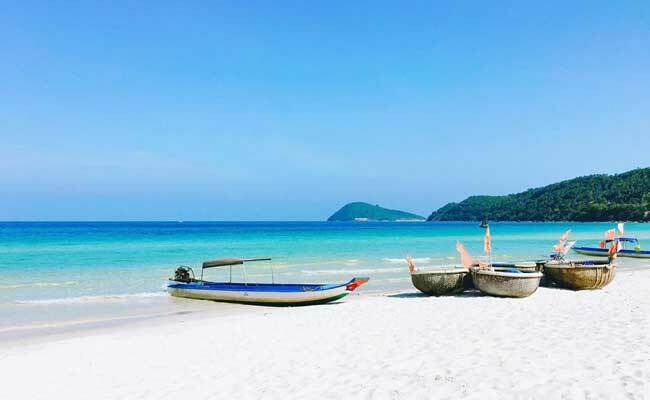 In the South: Under the fair weather, nothing could be better than visiting Saigon and boating in Mekong provinces or organizing a beach break to Mui Ne and Phu Quoc. This is an indispensable time to contemplate the wonderful beauty of the rice terraces in Sapa, Mu Cang Chai in the pouring water season, or the harvest season in Tam Coc, Ninh Binh which is well-known as "Ha Long Bay on land”. Hot summer covers throughout the country, sometimes the temperature may be up to 35°C - 38 °C. In the North: It is under the rainy season and sometimes, the downpour rain may cause deluge and landslides. If you are lucky, instead of rainy day, you will see the vast green rice fields across the mountains and countryside. In the Central: Although the weather is hot, it is still convenient for travel and leisure. In the South: It is in the rainy season, but it is easy to rain and easy to stop. Not much affect the tour activities. Avoid beach break in Phan Thiet and Phu Quoc due to the rainy season. 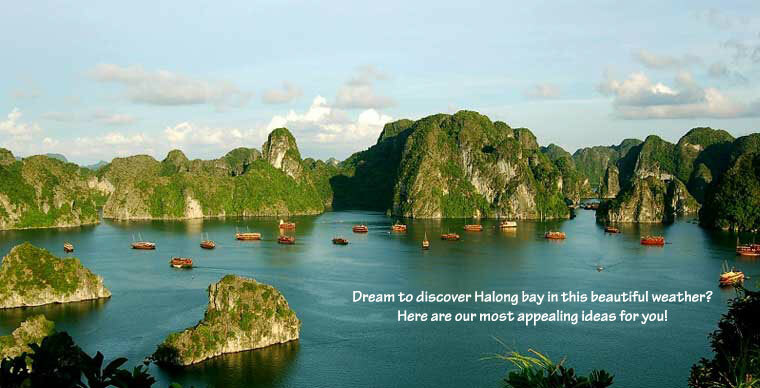 Halong Bay is also an idea, although, typhoon maybe possible. However, it is not often, depending on year to year. Ideal for sea vacation in Da Nang and Hoi An. Except for some beaches, this is a favourable stage to visit all the parts of Vietnam. In the North: Less possibility of rain and storm. It is beautiful weather with light sunshine in both plain and mountain. In the Central: Beginning the risk season of flood and storm but floods do not last long and not often. In the South: The rainy season still remains in the southern areas. Avoid completely sea vacation in the Central and South. 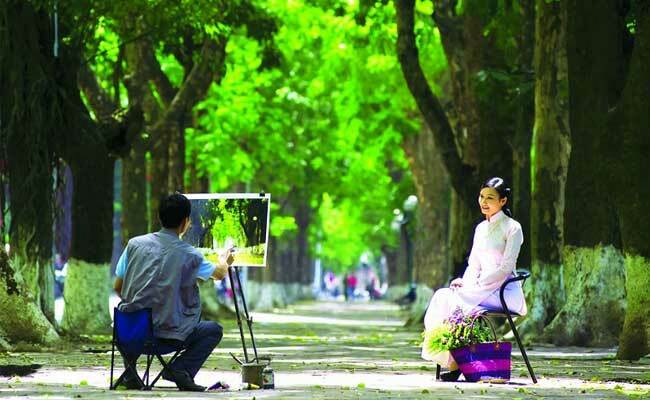 Particular in Hanoi, the poetic autumn makes the ancient capital more charming. 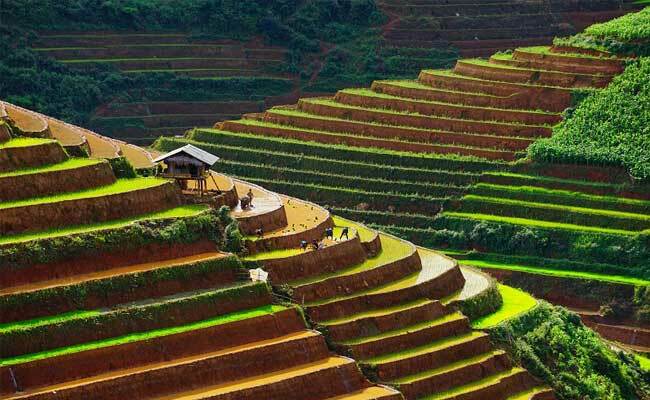 Especially, this is the golden time to admire the terraces in the Northwest (Sa Pa, Mu Cang Chai & Hoang Su Phi). 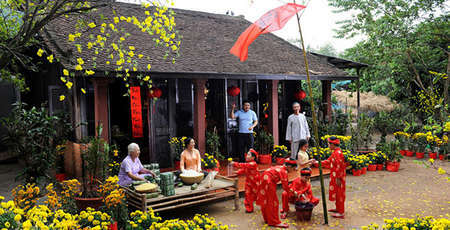 In addition, the picturesque scene is particularly poetic in areas such as Ba Be Lake and Ban Gioc Waterfall. In the North: In the northern region, the weather gets colder and drier as this is the first stage of winter. In the Central: The risk of rain or flood is very little. In the South: The rainy season completely ends and replaced by the beautiful weather. From the second half of December, typical weather in the north of Vietnam is misty and cold. Sometimes, it can be very cold. 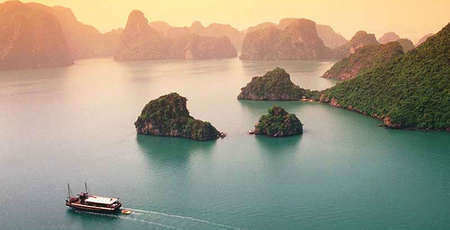 It is suitable for exploring Ha Long Bay and trekking in the north. 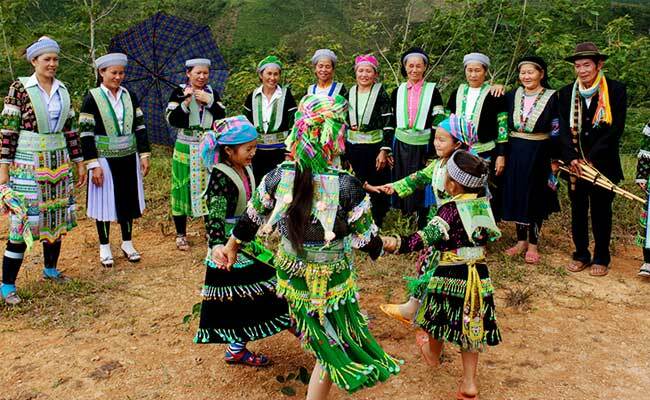 Especially, if you come to Ha Giang on this occasion, you will be fascinated by the pink-purple valley of buckwheat fields. Ideal to explore the center of Vietnam, Southern and Mekong, especially Phan Thiet and Phu Quoc are great places for a beach break. Since, where and when to travel depends on the individual's plan, we hope that the above practical sharing will help you easily to make the right decision to choose the best time to visit Vietnam. There are many other factors that can affect your travel, you may want to read more about Special periods to notice for a successful vacation in Vietnam or take the detailed sharing from Authentik Travel experts for your reference about the remarked period when planning a trip to Vietnam. >>>The most ideal time to visit Vietnam?